There are no silly questions when it comes to choosing a holster to carry your firearm in. If your question is not answered here, send us an email and we will do our best to get you an answer. You may not like or agree with the answer, but we will not sugar coat anything to sell you one of our products. How much is the shipping and how do we ship orders? Currently, we are using USPS First Class with Tracking for a flat rate of $4.00 anywhere in the Continental United States. How long will it take to get my order once it is placed? All orders are currently being filled in 3 weeks or less. Do we carry items in stock that are already made up and ready to ship? No. We are currently blessed enough that we can barely keep up with orders once they are placed and keep the shipping date less than 3 weeks. Do we offer custom work for any modifications? Yes, but you probably will not want to pay for it. 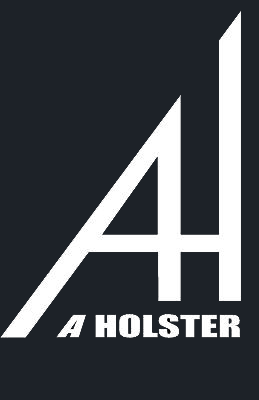 Are all of our products made in-house at Aholster? Yes. Each holster is made to order. Each holster is hand sanded and checked for any burs before it leaves our location. If my firearm is not available in the drop-down section of the order page, does this mean that it is not available for order? No. If it is not listed, email to see if we can locate or assist with another weapon choice that will work with your weapon. Also, we offer a Blue Gun Training Weapon Trade-in. If you can locate a training gun that is an exact copy of your weapon, we will trade it for any of our holsters. See www.bluegunstore.com. Send contact email for instructions. What color choices do we have available for orders? Black, OD Green, Tan, Gun Metal Gray, and did we mention BLACK. Do we offer law enforcement or a military discount? Of course, we do, email for the discount code once approved. Do not have a clue, if you know, please fill us in. Do we offer any holsters that will work with weapon mounted lights? Will Kydex scratch the finish on my weapon? Probably, but so will carrying a weapon every day in any holster. Yes, Within 30 days if you are not happy with our products, we will replace, exchange or refund the purchase price less shipping once the holster is received back to us in like new condition. Absolutely nothing. We will not sell, transfer, give, email, telegraph, morse code, etc, anything that pertains to your order to anyone or any thing.